M6 Toll Warwickshire northbound severe disruption, at J3T for A38 Tamworth. M6 Toll Warwickshire - M6 Toll lane closed on exit slip road northbound at J3t, A38 (Tamworth), because of a broken down vehicle. Robyn Birdsell, who chased a "prolific thief", picked the three-week-old German Shepherd herself. 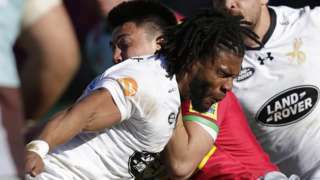 Wasps shrug off Kyle Eastmond's red card after only 17 minutes to score six tries in a 44-22 victory at Harlequins. M6 Leicestershire northbound severe disruption, between M1 J19 and J1 for A426 Rugby. M6 Leicestershire - One lane closed and slow traffic on M6 northbound between M1 J19, Catthorpe Interchange and J1, A426 (Rugby), because of a broken down vehicle. Accrington continue their chase for automatic promotion by beating Coventry for their third successive League Two win. M40 Warwickshire - One lane closed on M40 southbound between J16, A3400 (Henley In Arden) and J15, A46 (Longbridge Island), because of a lorry having a tyre changed. Traffic is coping well. M69 Warwickshire northbound severe accident, between M6 J2 and J1 for A5 Hinckley. M69 Warwickshire - One lane closed on M69 northbound between M6 J2, Coventry and J1, A5 (Hinckley), because of an accident. M6 Warwickshire northbound severe accident, between J3 for A444 and Corley Services affecting J2 for M69. M6 Warwickshire - Queuing traffic on M6 northbound between J3, A444 (Nuneaton) and Corley Services, because of an accident earlier on. All lanes have been re-opened. Congestion to J2, M69 (Coventry). 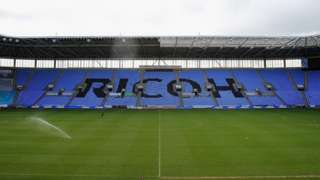 Coventry City agree a deal with rugby union side Wasps to stay at the Ricoh Arena until the end of 2018-19. It should be dry and cold tonight before rain moves in tomorrow. There's a yellow weather warning for snow and ice from 00:05 on Sunday morning. Police say they're not treating the discovery of a man's body in Coventry as suspicious. It was found on land next to the old sorting office on Bishop Street at around 16:00 yesterday. The area's been cordoned off. Let the games begin... The Winter Olympics are now under way after the opening ceremony took place this morning. Seven athletes from the West Midlands will take part in the South Korea games over the next fortnight. A grant worth £4.2m has been awarded to Warwick Arts Centre by the Arts Council to build a new cinema and art gallery. The 20:20 project will see the demolition of the existing cinema and Mead Gallery to create a new building to house three new auditoriums along with a large ground-floor gallery. The venue will be at the forefront of Coventry's year as City of Culture 2021. A Coleshill man has appeared in court charged with possession of a imitation firearm, racially aggravated assault and causing criminal damage, police say. He was arrested by British Transport Police after reports he had abused a man and damaged a car on 2 February. He'll next appear at Warwick Crown Court on 8 March. Explosives were used to open a cash machine at a store in Rugby, before robbers made off with the contents, police say. A member of the public, who heard an explosion, called police after the theft at the Co-op in Scholars Drive, Cawston at 03:40 this morning. The robbers, who made off with a quantity of cash, smashed the front of the window and caused significant damage to the inside of the shop. Last month, staff at the same store were threatened at knife point and a large amount of cash stolen. 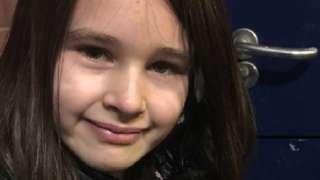 Pupils from King Edward VI school in Stratford-upon-Avon have been volunteering to record a talking newspaper service for people who are blind or with sight impairments. About 100 people currently receive the service, which gives them up-to-date stories from the local Stratford Herald. More than 40 charities, based in a tower block in Coventry, could be homeless by the end of the month. The organisations have been told to leave Coventry Point on Market Way by the 28 February as the building is expected to be demolished as part of redevelopment work. 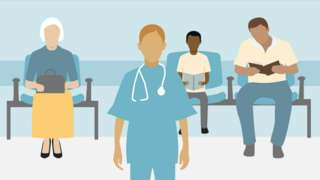 You can see my full report on Midlands Today on BBC One at 13:30. Snow and ice could cause travel disruption on Sunday morning, the Met Office is warning. The yellow warning is in place from 00:05 to 11:00 on Sunday.